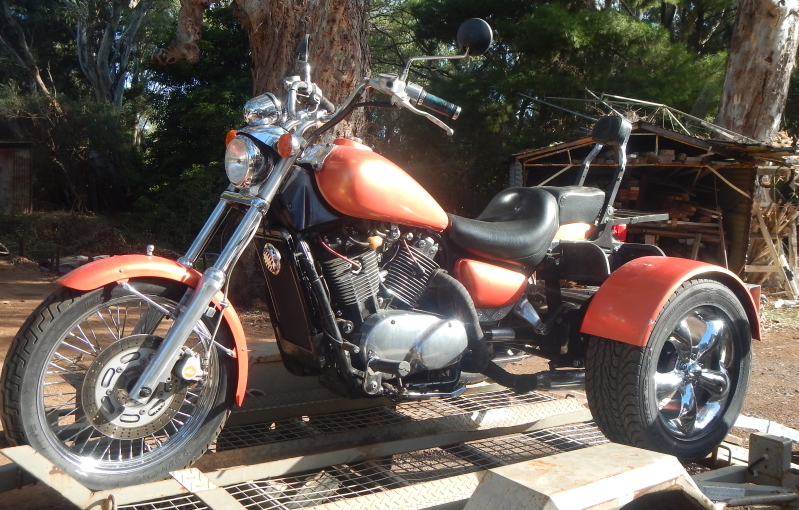 Latest project is this Vulcan 88 trike. Owner has built it over a number of years having put 500 thousand k on it as a solo and then as a sidecar. 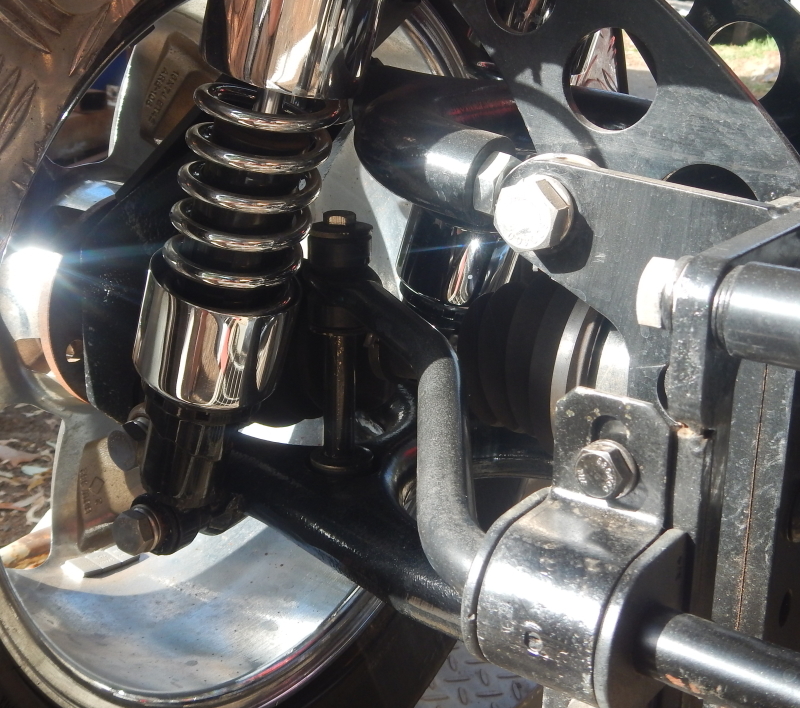 Sidecar was not to his liking, so he picked up a trike kit from the US. Motor is interesting. Looks air cooled but water cooled, twin plug heads and develops good power, which I could feel when I took it for a quick jaunt. 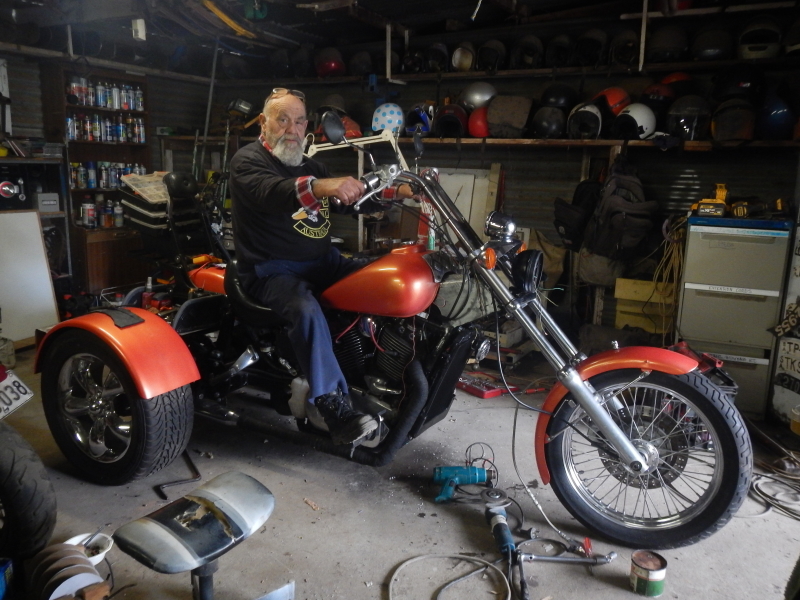 One of our WA members has built a lot of trikes commercially over the years and knows his stuff, so I will call him in the next day or so and see what he recommends. 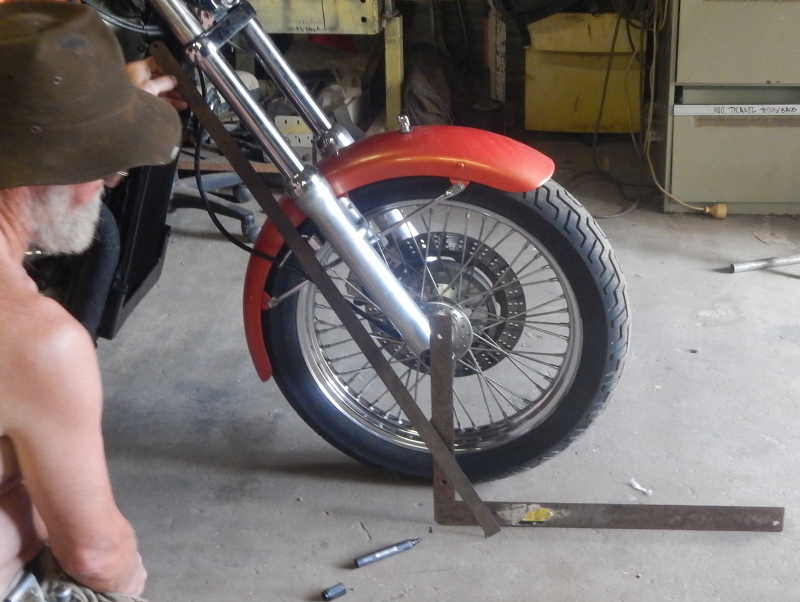 Trike is quite high and we can get the front down but no height adjustment on the rear. Would be nice to be able to drop the whole thing by a couple of inches, but does not seem an option. This machine will be engineered using Motiv Engineering. I really like Phil, straightforward, no superiority and always keen to find the simplest solutions. I'm sending photos through to him with my proposals and he'll tell me what he requires. I was not expecting this job so soon, but the owner ended up with a short window of opportunity and basically just rocked up from interstate. He'll be marching in the Adelaide Anzac Day march and then will start pulling down the bike on Thursday. He'll stay until it's done, so expect some feverish activity. 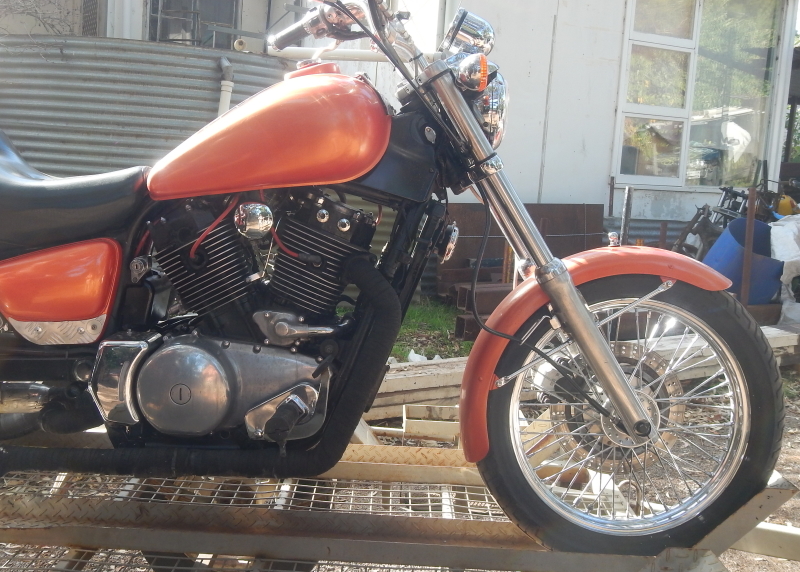 Meanwhile Victor will be here tomorrow to machine up some bits for his new shovel project and complete frame build and new style... not allowed to show any pics til its done though... damn! Trike's owner spent yesterday and this morning stripping the front of the trike. I measured up the headstem bearings which were worn out and pulled read the serial number of the top one and was able to pick up a new set from CBC this afternoon. Yesterday while the trike was being stripped, I did up some diagrams and sent them through to our engineer and also to Mick, my WA contact. 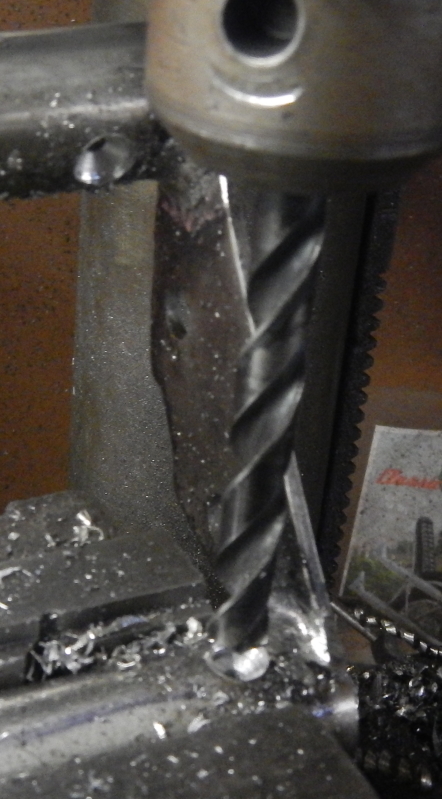 Was able to speak to both this afternoon and have a plan for stretching and raking the neck which will begin tomorrow with machining up a new steering head. Engineer was happy with my structural proposals and gave me a bit more understanding on the why's and wherefores which was good. Mick suggested 42-45 degree rake as ideal for trikes with around 2" trail. He also said he'd not done a lot with motorcycle trikes, more with VW and Subaru engines and used springers or girders on them. He wasn't all that sure how well telescopics would work. I have spoken with an HD trike owner who'd had handling troubles until he raked his trike out to 40 degrees extending the telescopics to keep it level. Said he could ride hands off at the ton. 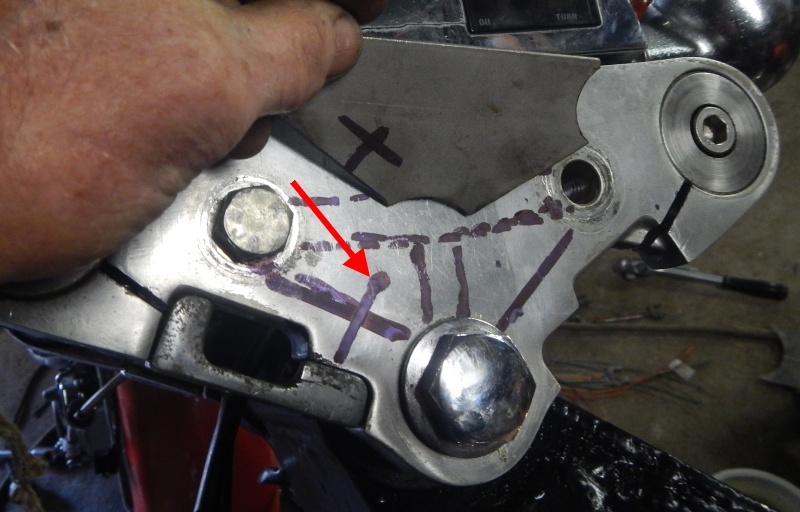 Mick also cautioned about taking the steering head too far forwards because of instability due to the narrower track of a motorcycle trike's track. With the telescopics we will end up with about 8" of trail which may make the steering a bit heavy, but finances play a part here, so it will be one step at a time. So I will suggest to owner that we try 42 degrees with his current forks and stretch the steering head forwards 4". See how well it handles and if necessary later replace the telescopics with a springer or girder. Close up showing the increase of rake from 32 degrees to 42 degrees. If I am not too stuffed by tomorrow night, I will get some progress shots up. For your interest, the engineering progress on this trike is that firstly, we have spoken with engineer to ascertain what and how the work needs to be done and what materials to use. I photograph the whole procedure for the engineer. 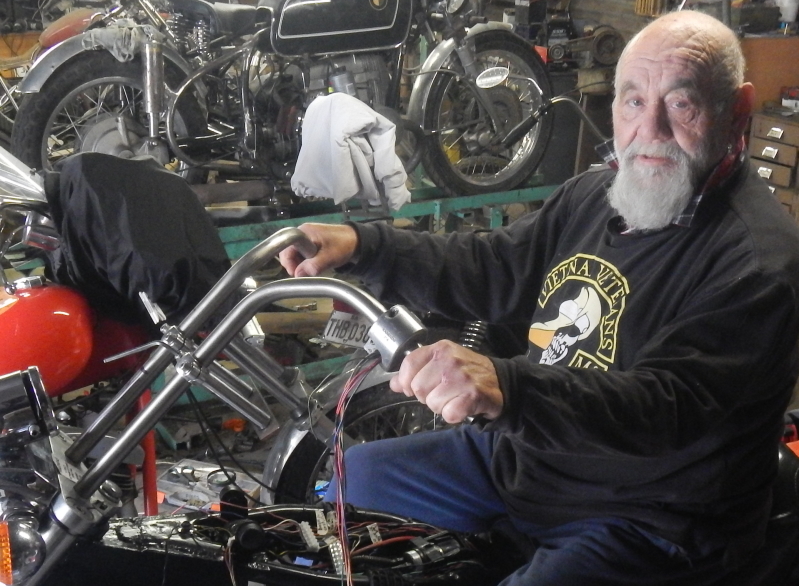 When we are done, the trike will be final assembled and he will come down and take photos and we will do a sound test, steering test and braking test. He will then send in the photos and paperwork. That will be looked at by regio folks who will then make an appointment for the trike to be inspected. Once passed it needs to be registered in SA for 12 months, after which it can be registered in NSW. Steering head now complete except for fork stops. Fred trying it out. Likes it! About to send a link to engineer so he can comment and we can proceed to next step.. Tomorrow morning we will do fork stops and a top radiator mount which had to be removed. To get the trike registered,it has to be inspected by the engineer and comply with current regs (18 pages for this type of trike LEM-1). Regs include 94 decibel max, so some big mufflers will have to go on. Needs a handbrake which Fred made by putting a ball valve in the front brake line... works well. Have to sort out labels on controls. Rims are max of 200mm and these are exactly 200mm. Will let you know what else we need to do to comply as it comes up. Fred got everything painted and reassembled and then the electricals decided to play up. He spent a day trying to sort it out with no success, so we are in the process of rewiring it. Lots of connections are quite dirty/corroded and the wiring has had quite a few mods of poor quality over the years. We are simplifying the wiring as much as possible, as the loom thickness was insane. Will be a day or so before it is done. Still pullbacks to be made. Meanwhile engineer thinks it can be inspected as a modified vehicle rather than a current build. This means just a brake and lane change test and a general roadworthy. Mufflers although original are loud and will need quietening. More news and pics as there is something to see for our more recent efforts. Wiring has taken a number of days as original is fairly complex and pretty battered. Will be done shortly. 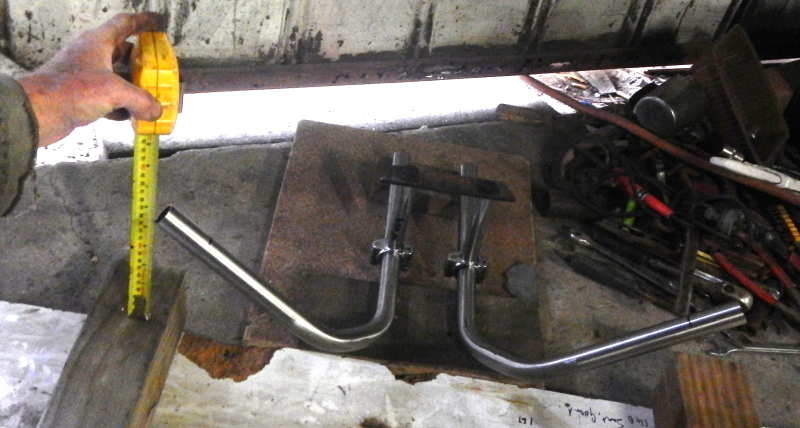 In the meantime a couple of catchups plus a new set of stainless pullbacks. Now for the pull backs. 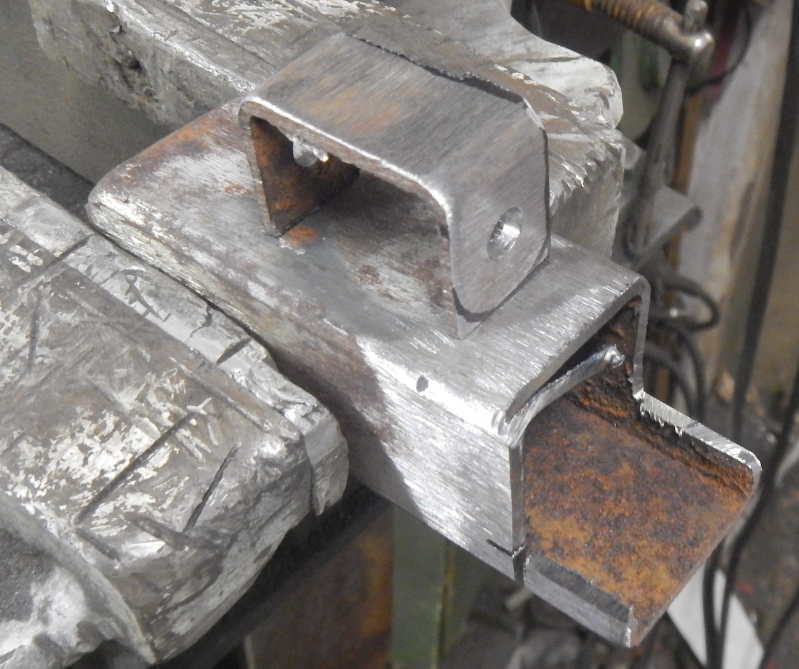 Western bars are not suitable for longer forks and rake. Main disadvantage with them on any bike is their width which slows steering response time, ok under normal circumstances but not when quick reactions are needed. 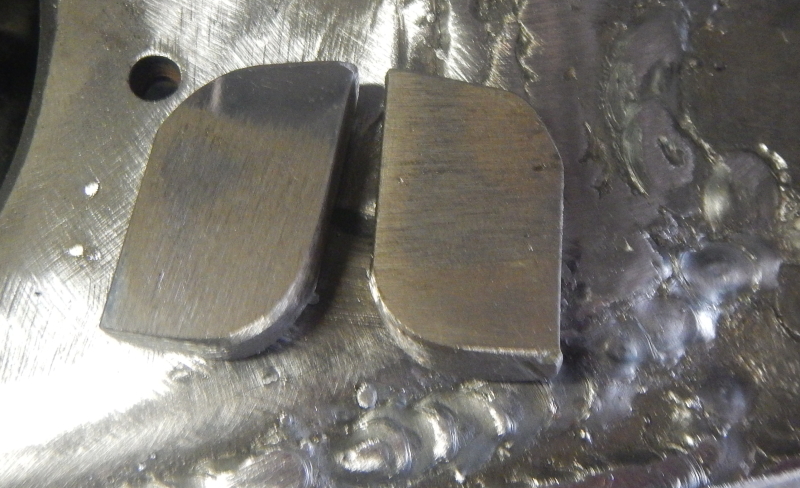 Also the longer and more raked the front end the narrower (within certain parameters) and further back bars should be. Best leverage and in this case reach is at or just below shoulder height and with the thumb width on the bars approximating shoulder width. That is what we aim for on this machine. Next set up Biscuit on the trike. Get him to relax and sit as he would while riding. Then close his eyes and set his hands in the position and angle he finds most comfortable. 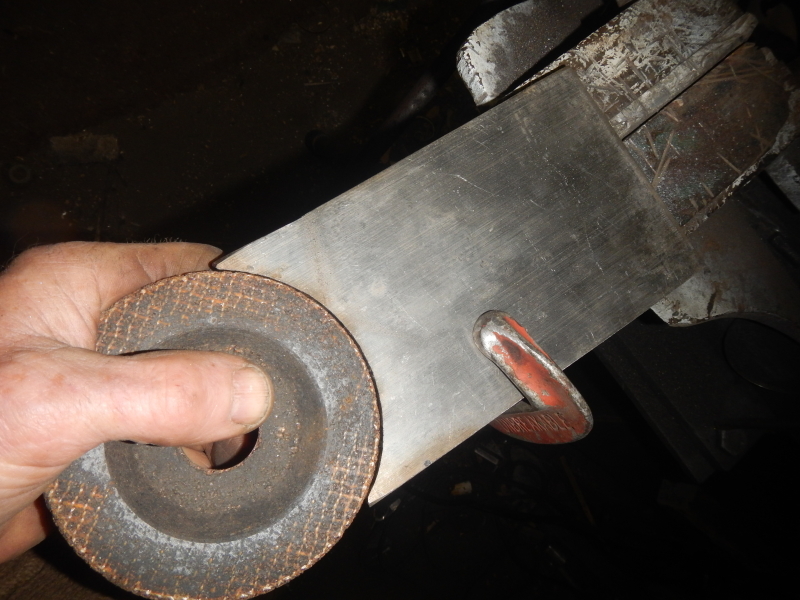 I bend up a piece of fencing wire to approximate the position and when we are satisfied with the position, I then bend up the two pieces of the pull backs out of 1" stainless. 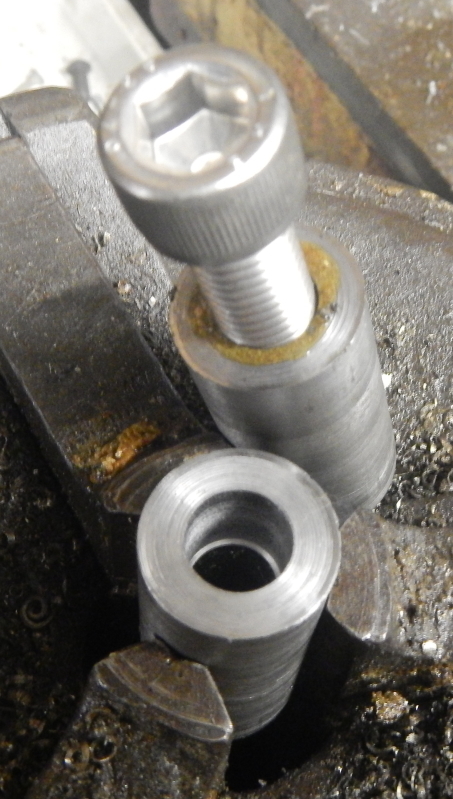 Because they are so tall, I slip in some 7/8" tube before bending to reduce flex. Once bent we set them up on the bungs. 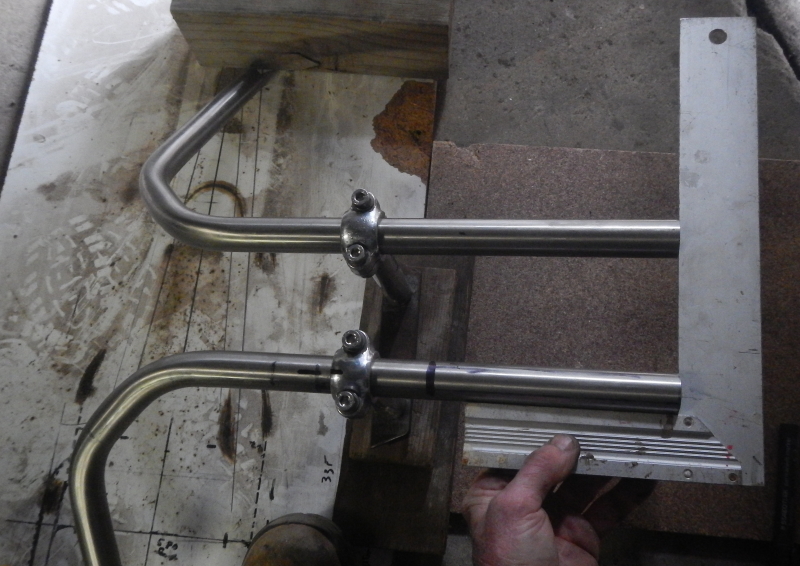 To keep the bars in the position that is most comfortable, I use a spare set of risers bolted to a piece of 23mm x 6mm bar. Biscuit tries them out and we cut an inch of the bottom of the bars. Width is good. Bars are twisted around in various positions until we are sure they are right. Missed a photo of the finished bars but will add some in tomorrow. 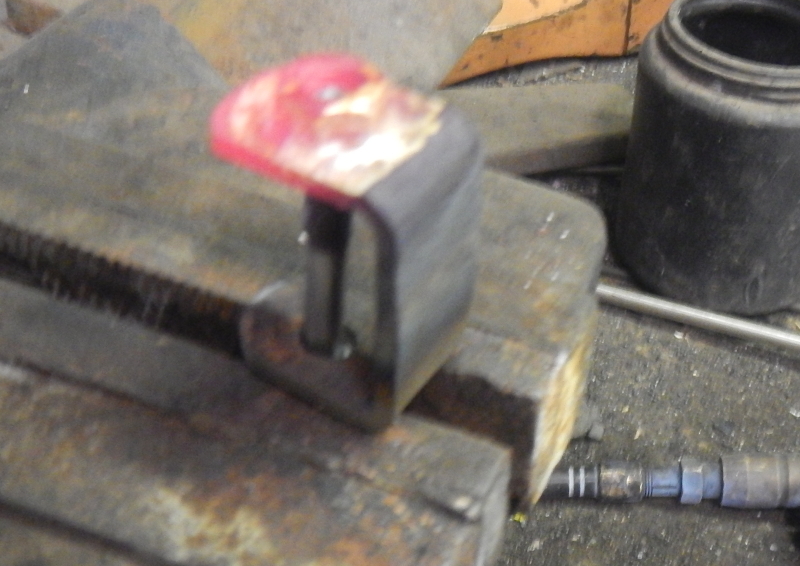 The bars are welded ground back and then polished. Polishing is a 6 step process and takes longer than the initial manufacturing. Stainless polishing is unforgiving. 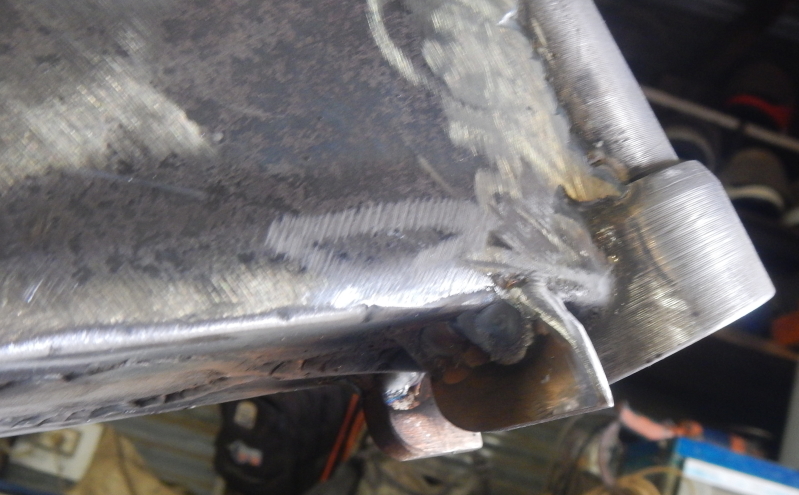 Where mild steel is chromed, a coating of copper fills in any small blemishes. With stainless nothing can be hidden. Now that the bars are done I can finish the wiring up front. Pics of the finished job when Biscuit comes back Monday week. I'll include some of the wiring with an explanation of why a couple of things were done.